It wasn't long after moving to New York City that Marisa Homer realized just how often she eats out. 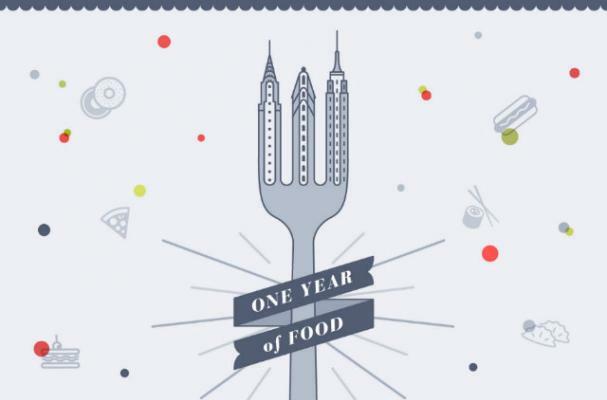 She tracked her restaurant adventures in the city and created the below infographic to show her eating trends. In 365 days, Homer visited 126 restaurants 220 times. Her top cuisines of choice included pizza, Mexican and American. The best meal she had in a year was fish tacos from the restaurant Mole. See more of Homer's culinary adventures in NYC in the infographic below.